The Brass Monkey is your venue for unique gifts, one-of-a-kind treasures, antique and vintage items as well as well recognized product lines and the works of local artisans. Originally home to a Sears and Roebuck store, 85 Main Street was purchased by Jack and Linda Pallazola in 1975. For forty years the Pallazola sporting goods store was a popular destination for athletes and families alike. Upon the Pallazolas retirement, Tom and Lynnée Lance purchased the building. The Lances were pleased with their opportunity to play a role in the third incarnation of 85 Main Street as The Brass Monkey. The concept of The Brass Monkey has evolved over the years. Tom's career provided the opportunity for the Lance Family to live in various locations throughout the Northeast and Midwest, but never close to family members. In an effort to maintain close family ties, the Lances searched for unique gifts very specific to family members. Monkeys became a repetitive theme originally due to a sister's love of monkeys. Many of the family's treasures were found during travel both in the U.S. and abroad. The desire to acquire intriguing and unusual items intensified as the Lances frequented flea markets, antique shops, and artisans markets. During those treasure hunts the monkey theme endured, and Tom realized an interest in brass items (monkey-themed and otherwise). HIs antique brass collection grew beyond the confines of their home. The name "The Brass Monkey" seemed a natural fit for the Lances' first store. The Brass Monkey is staged in constantly changing vignettes consistent with the seasons. The merchandise will be ever changing too as the Lances and their team search for items unique to The Brass Monkey. 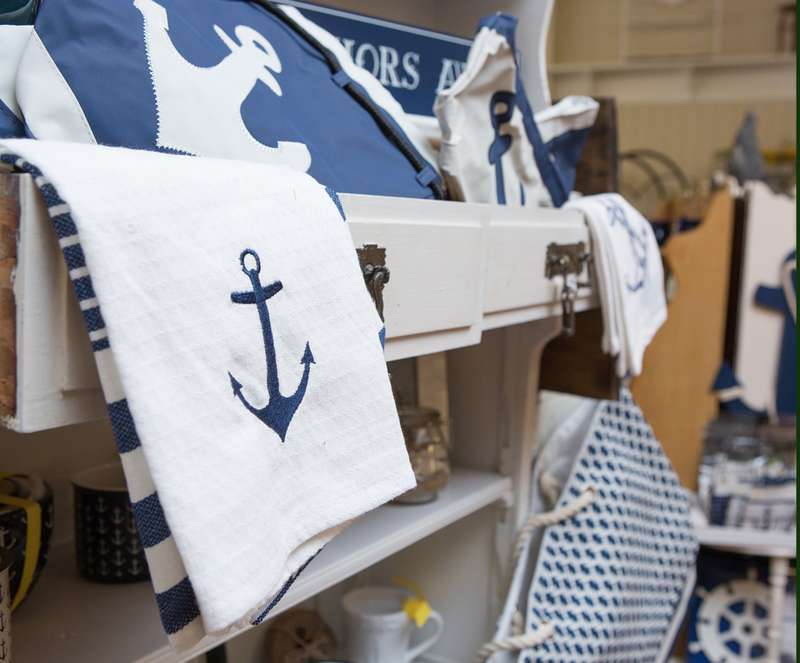 The ultimate goal is the creation of a different kind of store and shopping experience--a Cape Ann destination where that very unique item can be found whether it be a gift for someone special or a gift to yourself. Please come in to talk to us about our Gift Registry!